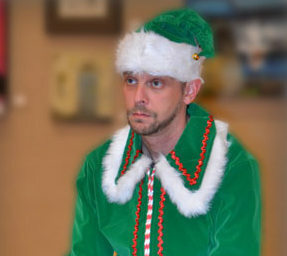 Thomas Brewster returns as Crumpet the Elf in David Sedaris’ The Santaland Diaries on Tuesday, December 13, for a one night only performance in the Callaway Theater at 7:30pm. Two types of tickets are available. The ticket for the pre-show party with Crumpet the Elf and the performance is $20. The performance only ticket is $10. The Santaland Diaries is a sardonic, deliciously cynical way to celebrate the holidays. An antidote to a merry Christmas, the script chronicles the desperation of unemployment, the insanity of Christmas shopping, and the ineffable “cheer” of the holiday spirit. 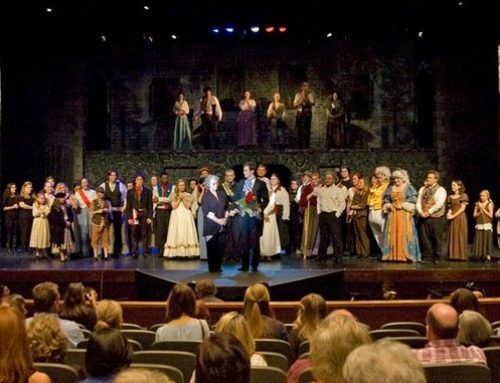 Brewster is a familiar face who has been seen on the SAAC stage in many productions over the years including A Christmas Story, 1940’s Radio Christmas Carol, Rodgers and Hammerstein’s Cinderella, and Willy Wonka. Call 862-5474 to reserve your tickets.